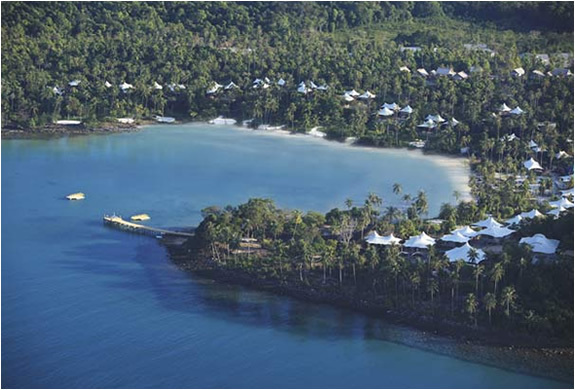 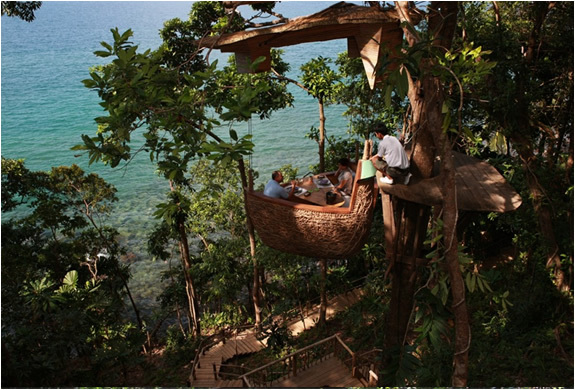 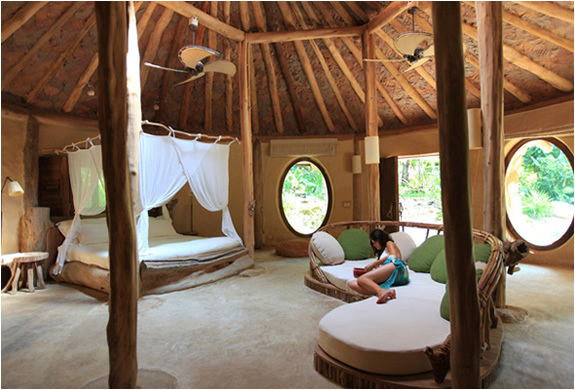 Soneva Kiri by Six Senses is a "six star" eco-resort located in Koh Kood, an island almost inhabited in Thailand. 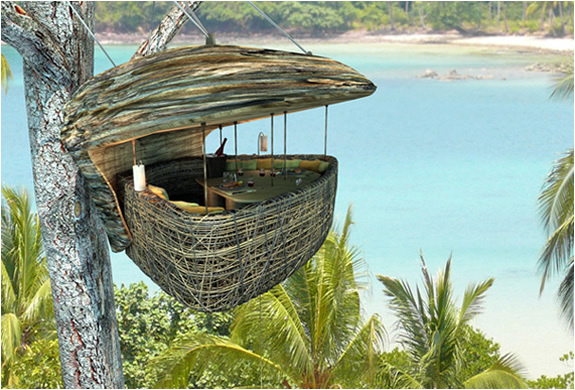 This dream location offers a 29 Villa Resort and several private residences, but the main atraction has to be the 16ft suspended tree dining pod, Soneva Kiri’s exclusive eating experience. 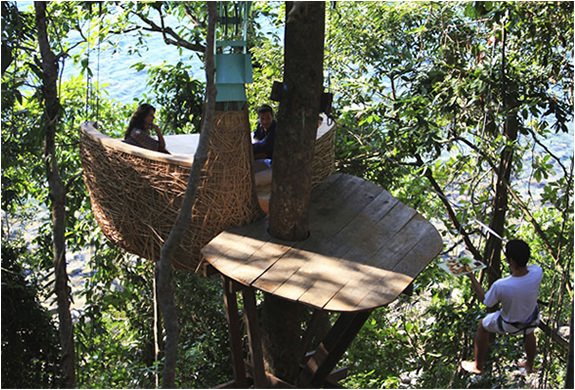 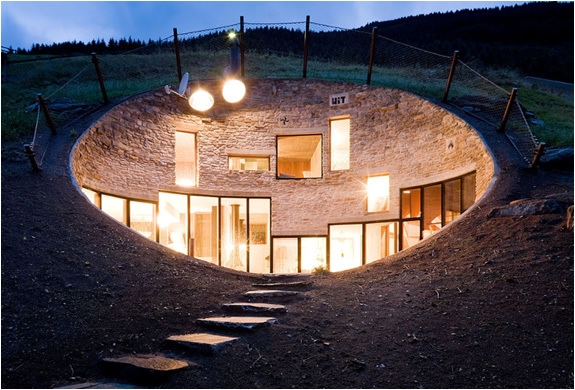 Via Unusual Restaurants.